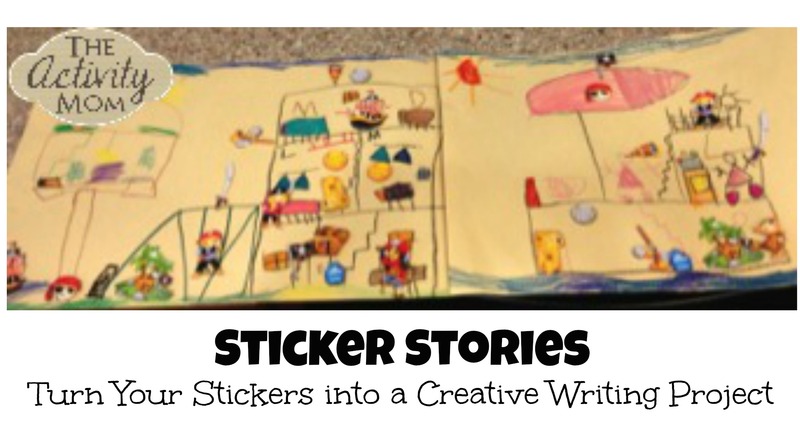 Sticker stories can be done with any age and you can work on a variety of skills. 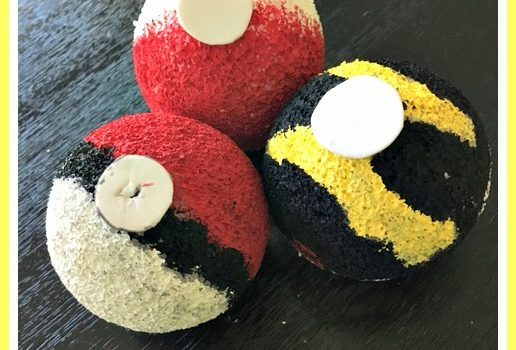 I used to do these in my classroom all the time, so I decided to give it a try at home! 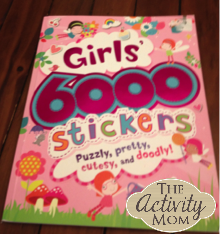 My girls received this amazing sticker book as a gift, and if you have girls, I highly recommend it! They use it nonstop for so many creative things, and it was just perfect for sticker stories. The more variety in stickers, the better result. 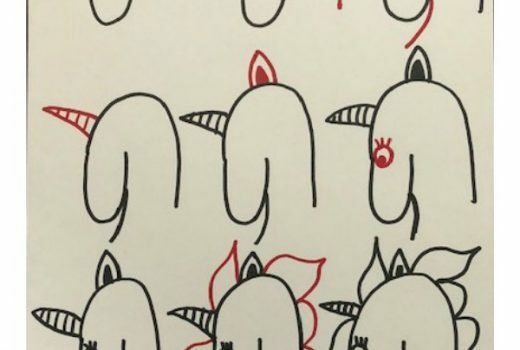 I gave my daughter a piece of lined paper, but any kind of paper will do. I told her to ignore the lines, and just focus on making a picture using the stickers. 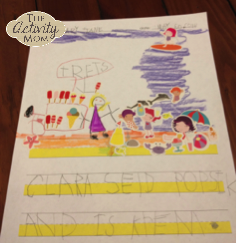 She chose to also add detail with her crayons. When she was happy with her picture, I asked her to tell me what it was about. I kept asking questions such as “Did the girl have a name? What kind of treats did they sell?” As I questioned, she sometimes went back to add even more detail to the picture. When she was finished, we moved on to the writing. Depending on the age of your child, adjust the writing portion. Maybe you write for them, or ask them if they can tell you the beginning sound. I asked my daughter to pick a sentence from her story that she wanted to write. 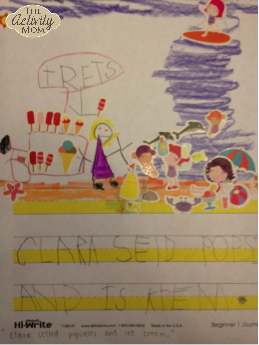 We focused on spacing between words and writing all the sounds she heard in each word. I was also able to introduce punctuation. 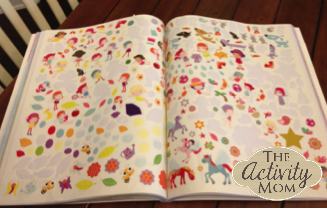 By having lots of stickers on hand, she can draw and write a sticker story anytime! No story has been written yet, but here is another example of a story that started with a pack of pirate stickers from the Dollar Store. Can’t wait to hear this story!